Trouble locating an expert Tree Surgeon in Stockwell? GraftinGardeners have fully qualified tree surgeons in SW9/SW8/SW4, London and surrounding areas. We are a family run tree company and specialize in all aspects of the arboricultural industry. Our tree specialists are professional, reliable and trustworthy. If you have any tree surgery requirements, we can help, just give us a call and we can send a tree surgeon round to your premises to give you a free quotation on any tree works you need completing. 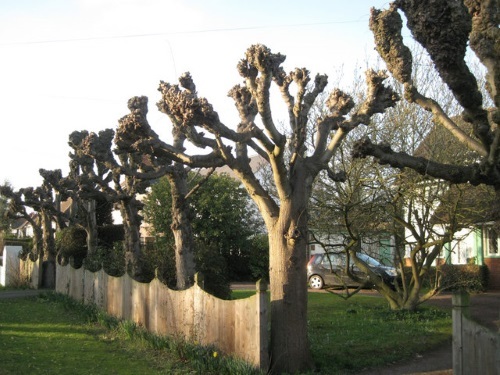 GraftinGardeners are tree care professionals and have expert tree surgeons in Stockwell and surrounding areas. We consist of three teams of highly skilled and highly motivated arborists, and carry out all types of tree surgery works on a daily basis. If you require tree surgery in SW9/SW8/SW4, contact us today. We will send a tree specialist round to inspect your trees and provide you with a free quotation on any tree works that you may require. If you have a dead, diseased or unwanted tree on your property or in your garden we can remove it. Our tree surgeons are fully equipped to carry out tree removal operations and can safely remove any trees regardless of their size or location. We will fell your unwanted trees in sections or simply straight fell it (where space allows us) and always do so in a safe and controlled manner. We work alongside all UK safety laws to ensure the safest possible removal. Contact us now to book a free tree removal quote. Are you trees overcrowded with branches and deadwood or are they simply blocking too much light into the garden? If so they may need trimming to restore them back to good health and balance. Our tree surgeons have a lifetime worth of experience when it comes to tree care and maintenance and can prune, cut, trim and shape any tree with precision and care. We follow the guidelines set out in the (BS 3998), to ensure your trees are left in a well-balanced and healthy condition every time. Need an old tree stump removed from your garden so you can lay some new lawn? No problem, just leave it to us! We have the latest stump removal tools, including grinding machinery that will blast out any unwanted tree stumps with ease. Our tree surgeons will remove any unwanted stumps from your property, backfill the resulting hole and bring the ground back to surface level with mulch or a composition of your choosing. We could have that stump removed in less than an hour. Call us now for a free quote. Tree emergencies can arise anytime and without warning but especially during bad weather and storms. They usually cause dead, diseased or damaged trees to fall over, causing damage to your home, garden and driveway. If you need a fallen tree removed fast, we can help. Our tree surgeons will come in, secure the affected area, remove the fallen tree and clean up any mess left. Our emergency tree service is open 24 hours a day, 365 days a year for all tree emergencies. Ivy and other invasive climbers can compromise your buildings structure if it’s left to grow out of control. Brickwork, woodwork, and roof tiles can all be affected and could cost you thousands in repairs. If you worried about ivy damaging your property or you would like it removed, we can help. Our arborists can remove any ivy and climbers from your home and destroy it by targeting the source (roots). We also offer an ivy and climbers maintenance service, so we can cut trim and shape it to suit your requirements should you want to keep it. Call us today to find out more. GraftinGardeners are experts when it comes to tree cultivation and management and have planted many trees for customers all over London. We can guide you through the whole tree planting process, from sourcing the finest specimens, guiding you on optimal planting locations and even offer advice on tree aftercare. 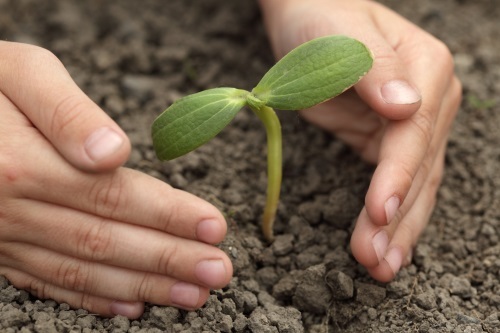 We not only plant new trees but we can also relocate your trees (if the root system is still young). Call us now and we can have a friendly chat about your requirements. Our arborists don’t just specialize in tree care; we also offer a professional hedge trimming service for residents all over South West London. We can trim and shape any type of hedges and skilfully craft them into whatever styles you like. From small box hedges to large conifers, no hedge is too big or too small. Our team will work closely with you until we obtain your desired result. Tree pollarding is a drastic form of pruning and should only be used on species that can tolerate the procedure. It is sometimes the only way to keep a tree under control and is used on species such as poplar and willow. Pollarding a tree that can’t tolerate it will usually end with its death, so it is always wise to consult a professional tree surgeon before carrying it out. Call us today and we can send an expert round to inspect your trees and let you know what types of pruning are most suitable.